View the magnificent Victoria Falls as a knowledgable guide escorts you through one of the Seven Natural Wonders of The World. A breathtaking experience! The main attraction and number one reason to visit this unique destination. The Victoria Falls. An astounding natural beauty of thundering water and misty rainbows. Known as the largest sheet of falling water in the World, the Victoria Falls will leave you breathless as you process the sheer magnitude of this water wilderness. A Victoria Falls Guided Tour is a must do activity when visiting Victoria Falls. As you enter the Victoria Falls rain forest at the beginning of the tour. you will notice a change in vegetation. This natural rainforest has been created by the constant spray of the Victoria Falls falling on the surrounding area. Explore the unique rain forest feasting your eyes on magnificent plant and bird life, whilst taking in the grandeur that is the Victoria Falls. You will be guided through the rainforest and stop at the different view points along the way. Find yourself in awe as you witness the sheer magnitude of the Victoria Falls. This truly is an inspiring experience. The Victoria Falls will be in full flood between April and June. Be sure to wear a raincoat during these months as you will get soaked from the spray of the Falls. 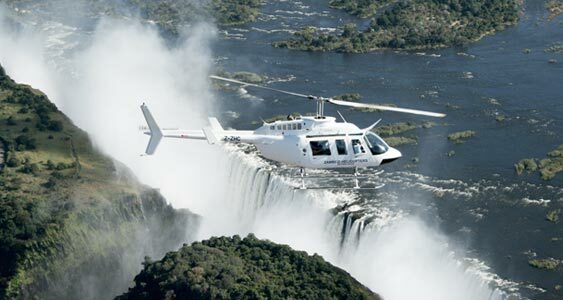 Read this article on: When is the best time to view the Victoria Falls?